A modern, efficient, innovative, and future‑focused approach, with greater collaboration and better community engagement, is key to maintaining affordable water services. The water sector must continually strive to find a balance between price and service that is fair for everyone. 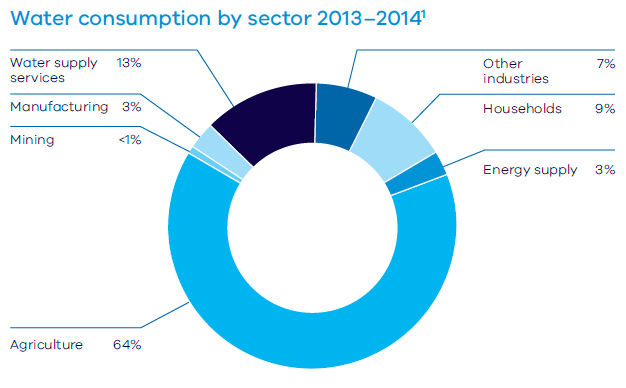 In the future, this page will provide you with information about how your water corporation is performing financially compared to other similar water corporations both within Victoria and at a national level. Key financial performance indicators will be reported here to allow year on year performance comparison. This will allow you to see if your water corporation’s performance is improving year on year. 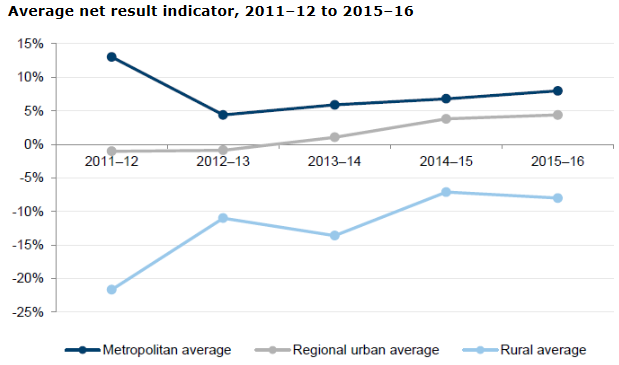 The below figure shows one key financial performance indicator for metropolitan, regional and rural water corporations between 2011-12 and 2015-16*. *The net result after tax/ total revenue is a measure of how much of each dollar collected as revenue translates to net result. A positive result indicates a surplus, and the larger the percentage, the stronger the result. By providing transparent and comparative financial information the Victorian Government continues to ensure that the Victorian water sector maintains downward pressure on costs.